Re/code has reported that Apple will be holding a special event on Thursday, October 16, to present the latest products in its ongoing rollout. The event will be a smaller affair than the headline-grabbing introduction of the iPhone 6 and Apple Watch last month, but the report says that the company will show off three new product lines: the new iMac, iPad and OS X. This month marks the one-year anniversary of the launch of the iPad Air and second-generation iPad Mini, and a Bloomberg report over the summer stated that Apple would be introducing a 12.9-inch tablet, its largest ever. Whether a new iPad Mini is also in the works remains to be seen, although the recent release of the 4.7-inch iPhone 6 Plus makes it doubtful. 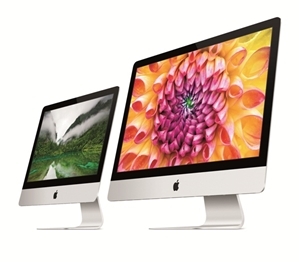 Last week 9to5Mac revealed that Apple is also close to completing a new line of iMac desktop computers featuring high-resolution Retina displays. These new computers will run on OS X Yosemite, the upcoming operating system that has been in developers' hands for months. As this blog mentioned recently, Yosemite has just reached the golden master stage of its development, typically the last step before public launch. All these products should be revealed at next week's event, and at least one or two specific release dates can be expected. With the recent iPhones and Yosemite, Apple is focusing more on the enterprise than it has ever done before. A certified Apple support services company can carry out iPad and Mac consulting and deployment for companies that want to be in the vanguard and take full advantage of the new technologies' capabilities.